Welcome to Primal Life! A page dedicated to showcasing the latest products and information to complete your primal optimisation. We already have you covered for all your supplement requirements, but in this modern era, we now need to protect ourselves from harmful environmental factors more than ever. Many of these adverse stressors remain unknown to the public and are often dismissed, leading to health complications that do not need to exist and are often easy to avoid. Primal Life gives you access to information and ‘life hacks’ to not only overcome some of these issues but to help you thrive under them and completely optimise health and performance. On the Primal Life page, you will find the best products from across the globe to give you the ultimate lifestyle enhancement. We have also included links and coupon codes so you can receive great discounts on all of your purchases. Make sure you click on ‘learn more’ to read about how these life changing products can help you today! The only print magazine dedicated to the Paleo Lifestyle. Subscribe now! 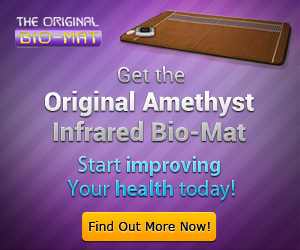 The ultimate healing bio mat with amethyst infrared lights. Improve your sleep with Swannies blue light blocking glasses. Recreate a primal habit in the comfort of your own home with light therapy. Range of innovative and award-winning small kitchen appliances. The smart ring that helps you get more restorative sleep. Clearlight sanctuary full spectrum infrared and far infrared sauna.